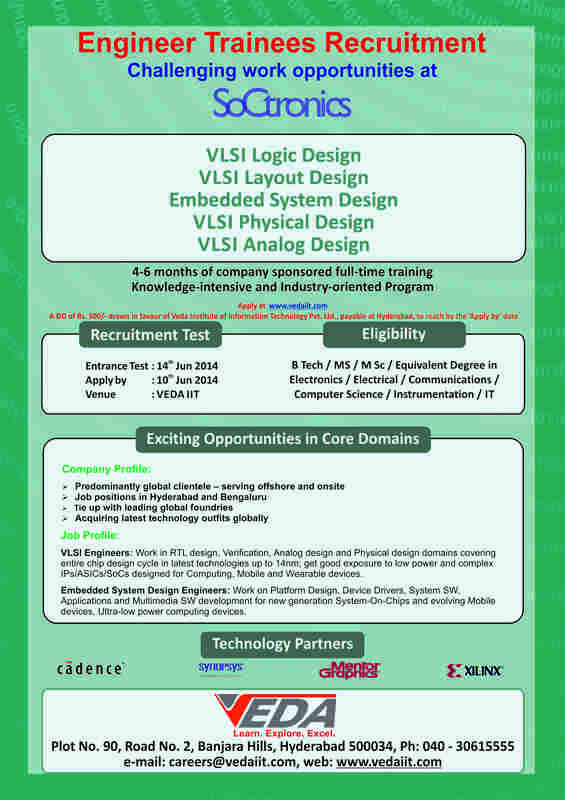 SoCtronics is a customer-focused VLSI design services company with offices in Hyderabad-India and Santa Clara-California. SoCtronics offers complete Spec-to-Silicon turnkey solutions in Logic Design, Physical Design, Analog Mixed Signal Design, Layout and Software Engineering. Wait until the below image loads for complete details.